Springtime is blossoming all over NJ along with season activity including home maintenance and repair services. Finding the right Metuchen roof repair company tops the list if you know your roof needs help. Are you faced with an emergency repair situation? Do you have leaks or heavy debris on top of your home? Knowing the difference between routine home care and emergency maintenance isn’t always evident to the untrained eye. Your roof’s true condition is best evaluated by a trained professional. Roofing companies are busy this time of year taking care of situations caused by the winter season. Home owners are wise for arranging a roof inspection early on because small issues become large issues quickly. Water from rain and even excessive humidity is the number one culprit responsible for undermining your roof’s integrity. Loose and cracked shingles are difficult to spot from the ground. Confirming the integrity of your roof is the most important reason for arranging a professional inspection. Signs of moisture damage are also visible from within the attic depending upon the structure. Wind and the debris it carries can cause significant damage to your roof as well. The combined stress of these elements wreaks havoc even on newer homes. You can also ask your roofing contractor about recommendations for improving the roof structurally. Are you in need of roof repairs often? Knowing the history of your roof helps the contractor in their assessment of its condition. Are you in the process of purchasing a new home? Do you know that the life expectancy of your roofing materials is about to expire? Getting the details and keeping track of your roof’s history make planning for upgrading and replacing easier. Your realtor should provide you with the lifecycle information regarding the roof for a new purchase. Roofing professionals recognize quality materials and offer accurate estimates on how long they might last. 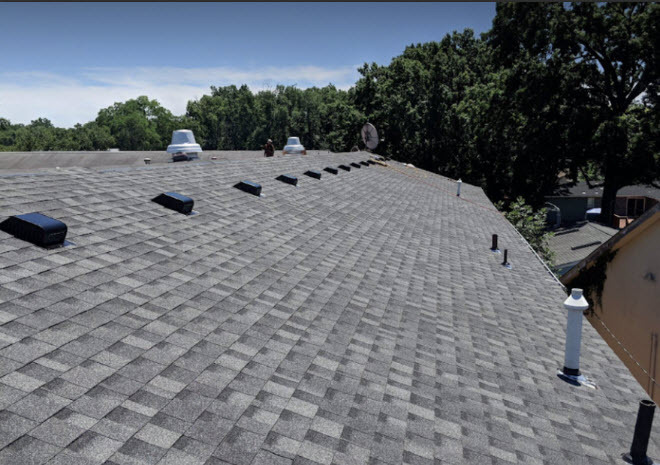 Home owners approach roof replacement with different ideas and priorities. You can save a lot of money for less durable material, or get a lifetime guarantee in some cases. Selecting less expensive roofing materials for a home you’re selling may affect the price. Choosing the absolute best roofing available not only keeps you secure for years to come, but improves resale value. Home owners need clear written quotes with options and warranty information included. Your decision comes from weighing the benefits against the cost factor. Are you working with an insurance company for a home owner claim? You may want more work done than the insurance company will cover. Do you have an emergency situation requiring work begin immediately? Staying informed throughout the process isn’t always easy. Trusting your roof to the right company means you won’t have sudden surprises along with hidden costs. You want someone who understands the situation you face especially if it affects the safety of your family. Our company offers the best quality and customer service for new roofing or roofing repairs. We are ready and willing to help with your next Metuchen roof repair project. You can give us a call today to discuss your situation or arrange an inspection. Our team is ready to help whether you have an emergency, need a new roof or just have a few broken shingles. We stand behind the work we do and always strive to serve our customers quickly and efficiently. You deserve the best when it comes to caring for your home and that is what we aim to deliver.